A rare bottle of Midleton that was made for the German market bearing the name of daily Munich newspaper Sueddeutsche Zeitung. This was a limited run of just 966 bottles, although there were a few extra produced with the tag "Private Bottling". 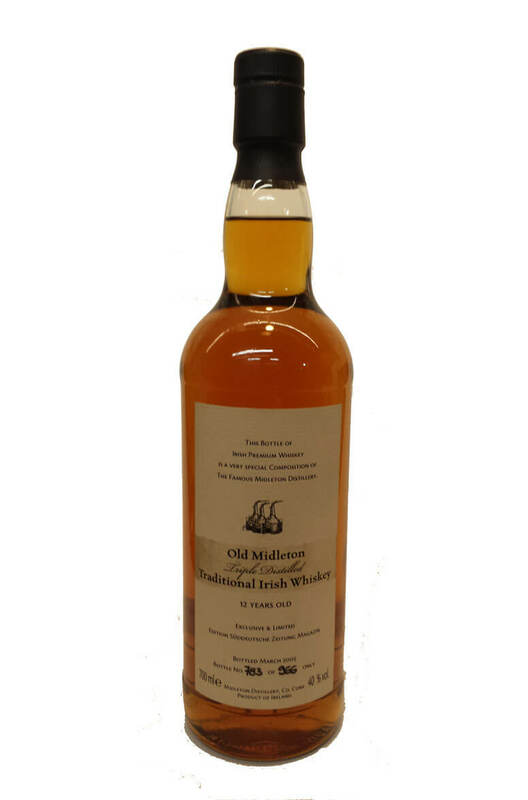 IDL rarely bottled anything with the Midleton name for outside parties at the time of its release, so it's a real rarity.